Aggressively processed vocals are common in electronic music today, but producing these effects easily and reproducing them live has been a challenge	—until now. 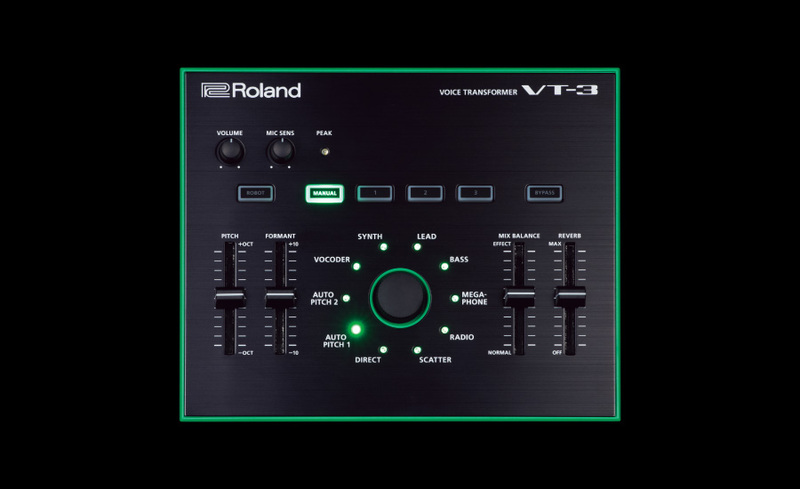 With the VT-3 Voice Transformer, you can smoothly alter pitch and formant in real time to introduce heavily processed vocal sounds into your studio tracks and stage performances with zero hassle. 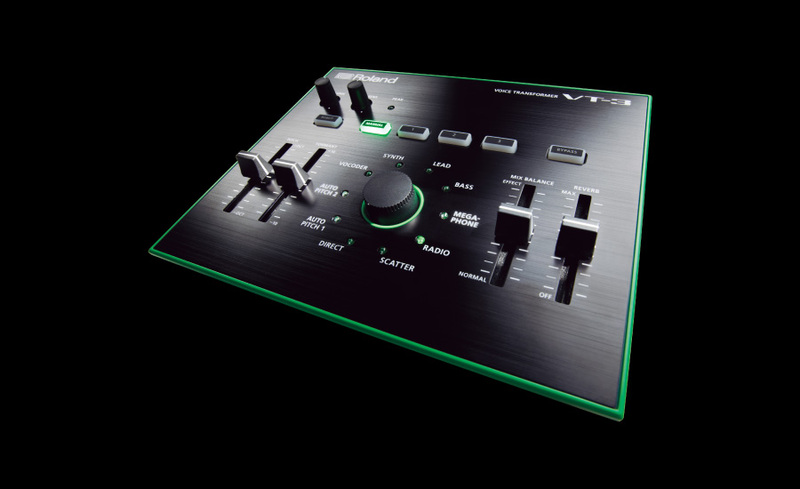 On top of that, the VT-3 looks great and works seamlessly with other products in the AIRA series. 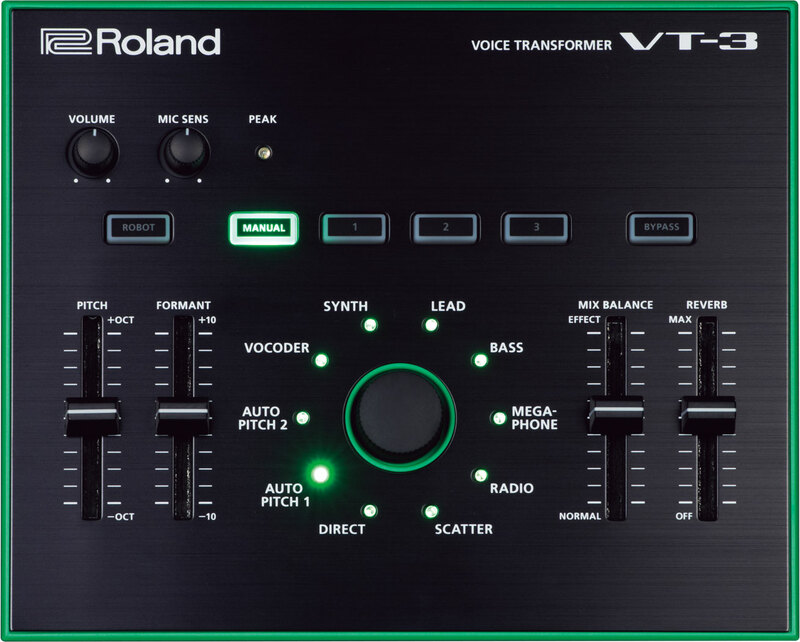 The VT-3 is not just for robot voices (although we totally approve of robot voices). 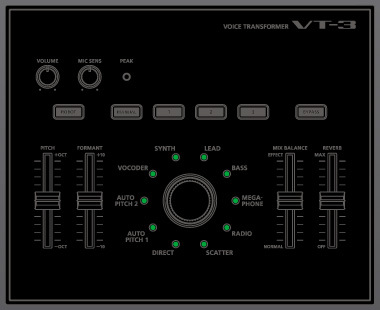 It also has the power to transform your voice into synthesizers, synth basses, hard-tuned and lo-fi sounds, and more. 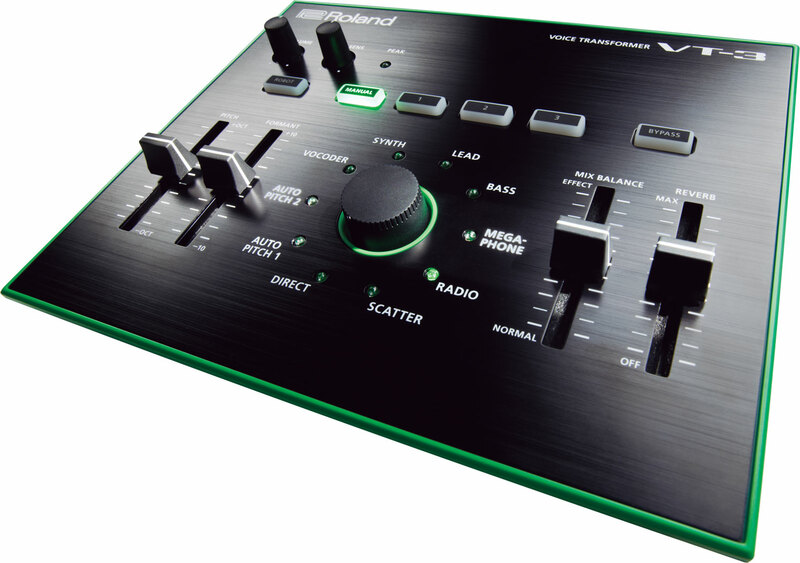 The VT-3 can also be subtle and musical, with built-in reverb, smooth wet/dry fader control, and instant bypass. 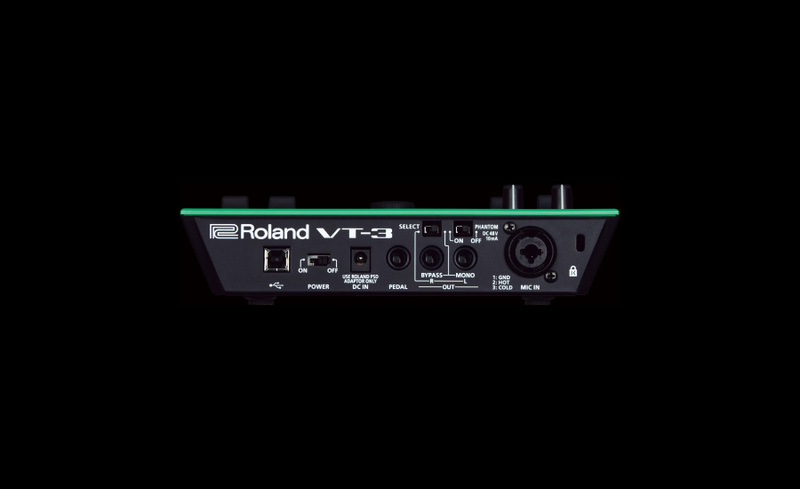 Built for creative speed and live performance, the VT-3 is meant to be played. 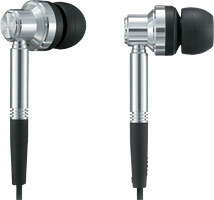 It features high-quality specs and sturdy, brightly lit controls that are dead simple to use. The controls and functions are smooth and immediate, with no popping, clicking, or latency issues to worry about, even when switching presets or changing voice characters. Weighing less than two pounds and small enough to slip into a bag, you can take the VT-3 anywhere. Manage your presets with easy backup and restore over USB. 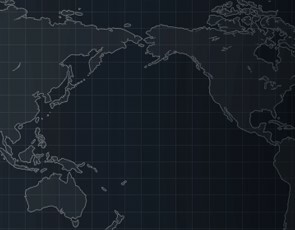 More Memory — User presets have been doubled to six locations. Character Level — Volume levels of each character are more evenly matched for smooth transitions. 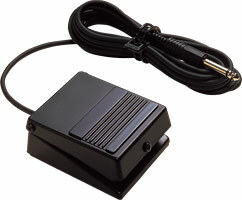 USB MIDI — Control pitch of voice characters, including vocoder, with external MIDI keyboard. Low Cut Filter — Cuts low frequency sensing to improve performance of Auto-Pitch characters. Noise Gate — Gates noise to reduce chance of feedback or howling sound. USB attenuator — Adjusts level of audio over USB. Program Change — Change program memory with MIDI controller message. 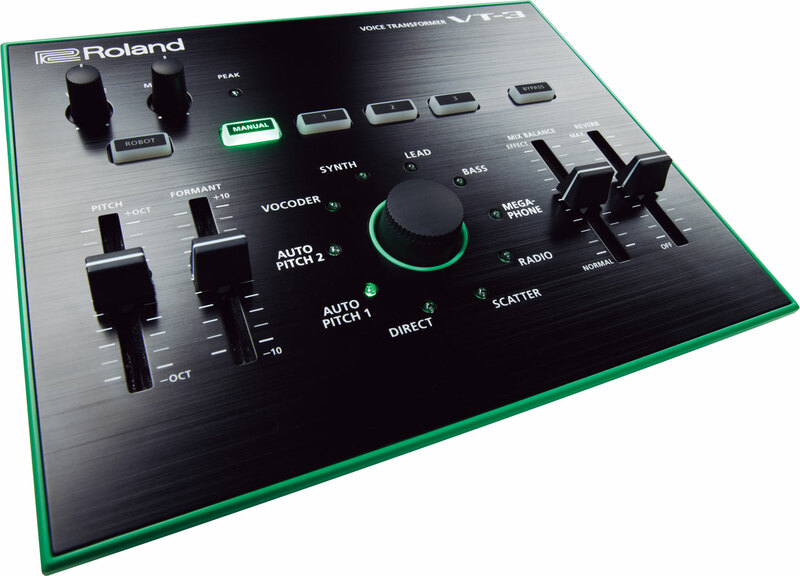 Control Change — Control VT-3 functions with MIDI control change messages. 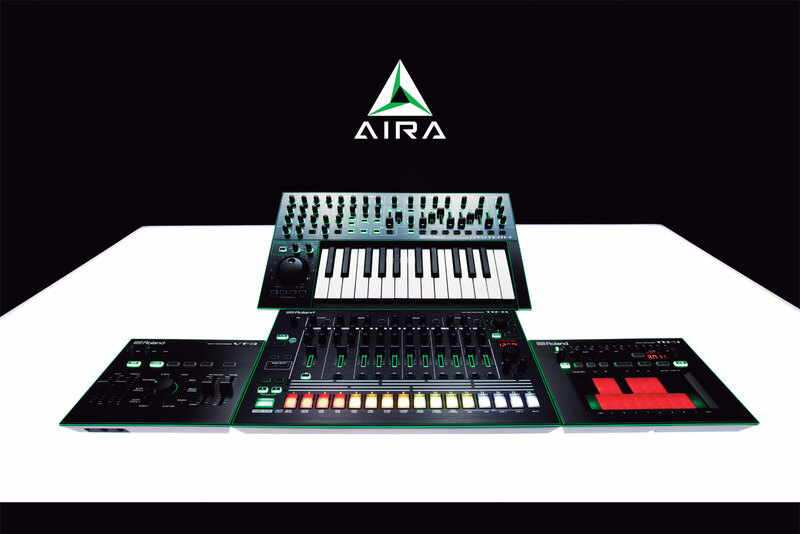 With roots in the very origins of electronic music, AIRA is the new series of products designed to meet the evolving needs of today's electronic musicians. A short tutorial on the VT-3 Voice Transformer. The Roland AIRA crew headed to Movement in Detroit - a city integral to the history of electronic music and to our history as a company. 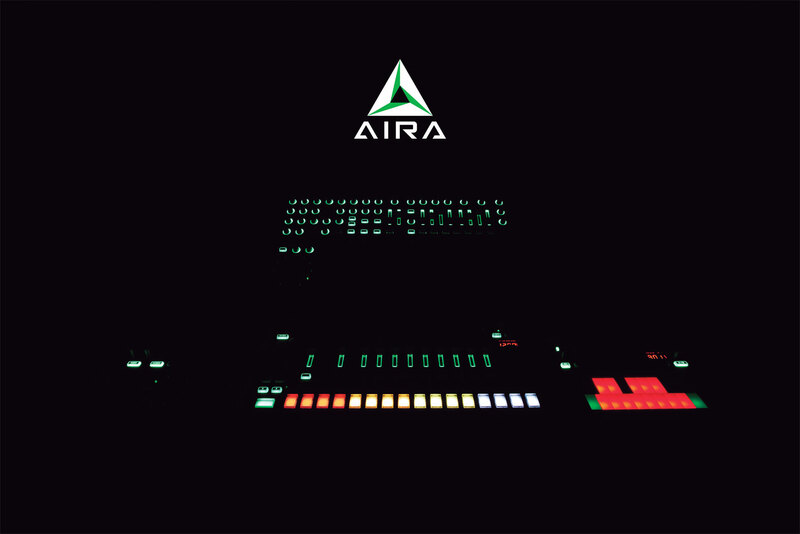 The Roland crew hit Miami Music Week with AIRA, and we thought we’d show you some of what happened. 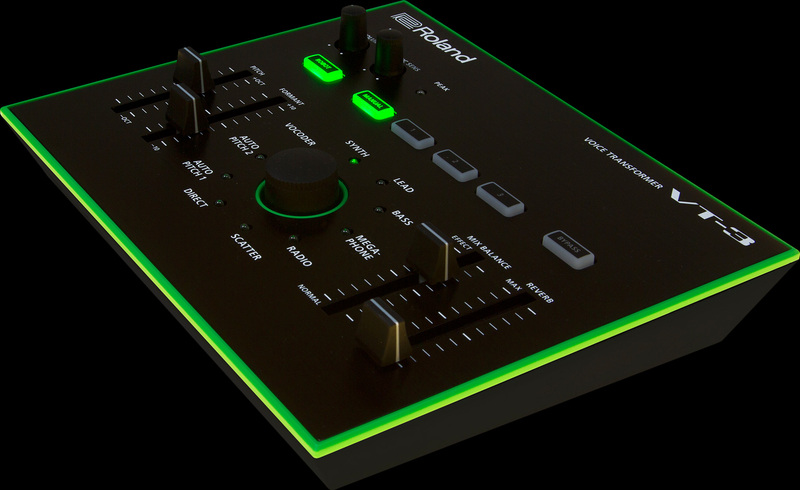 We shared AIRA with a lot of big artists, and, as you can see, it caused quite a stir and blew a lot of minds. 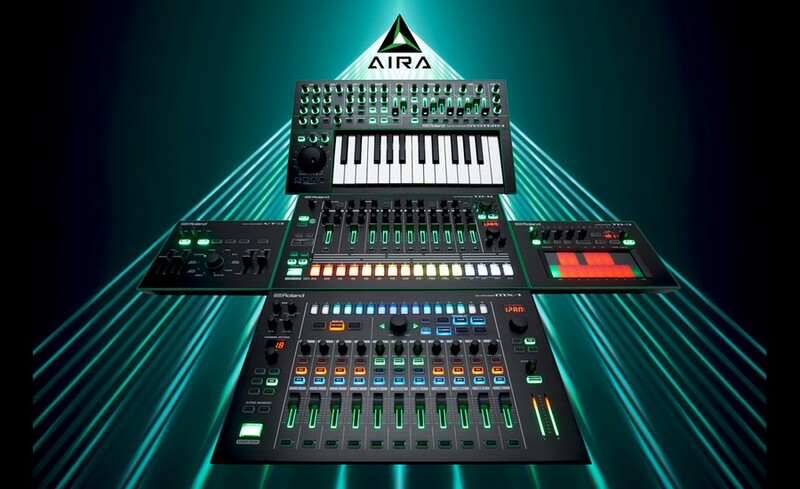 The Roland AIRA crew headed to Movement in Detroit—a city integral to the history of electronic music and to our history as a company. AIRA gear was in lots of the performance rigs, keeping the music thumping and the crowds jumping. 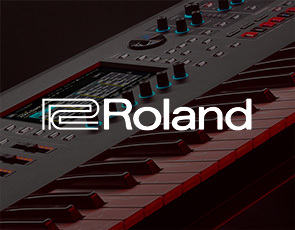 Go behind the scenes and learn how Roland's newly developed Analog Circuit Behavior (ACB) faithfully captures the sound and feel of some our most revered classics. 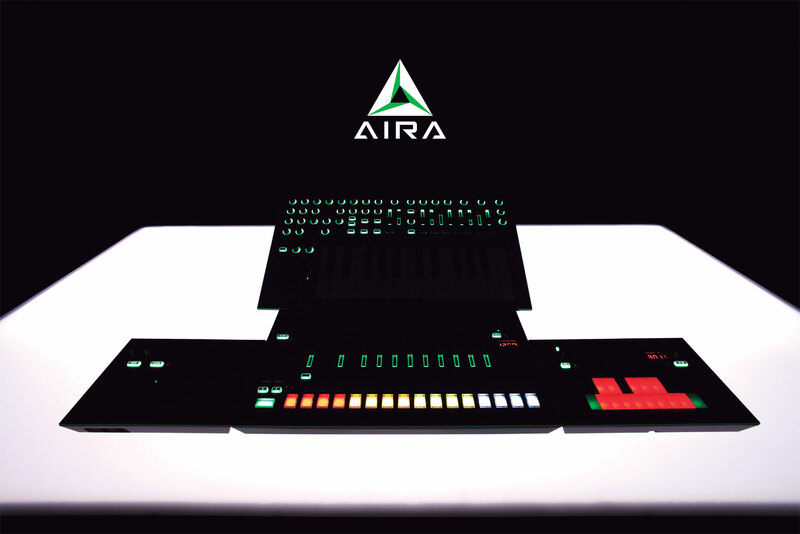 Groundbreaking artists talk about their experiences with Roland instruments and make first contact with the AIRA gear. 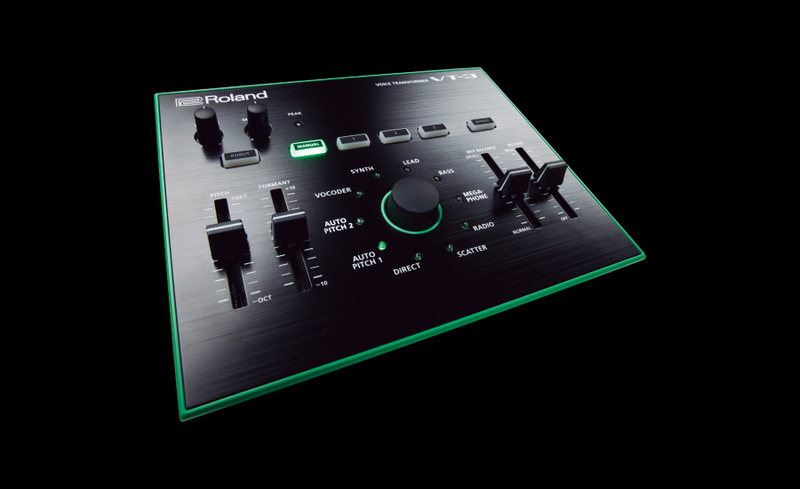 Artists Arthur Baker, Ricardo Villalobos, Hardfloor, Netsky, Dr Meaker, A Guy Called Gerald and Boys Noize talk about their experiences with Roland instruments and discuss the joys and challenges of performing electronic music live. 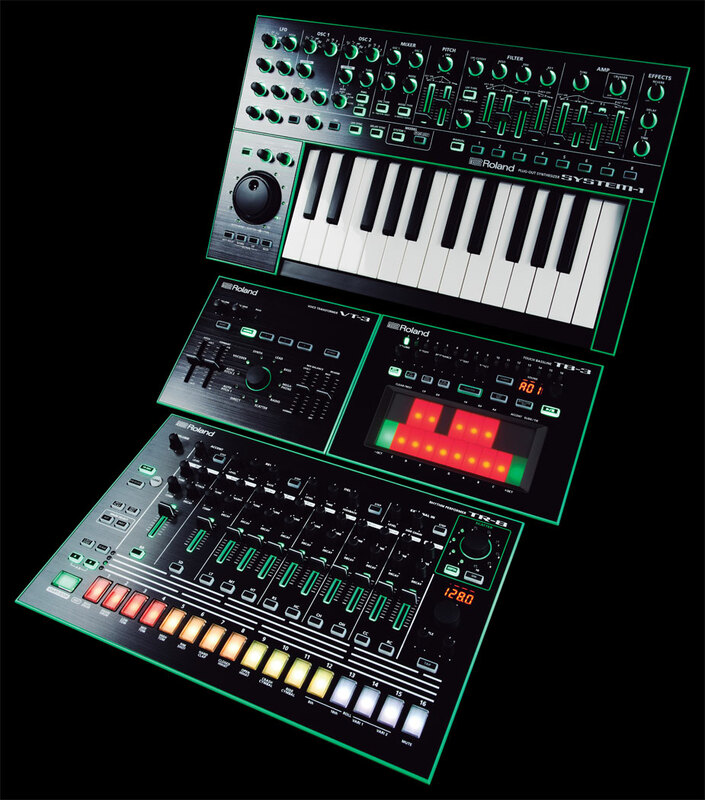 Roland engineers discuss the technologies involved in getting the right sounds for the successor to the TR-808. 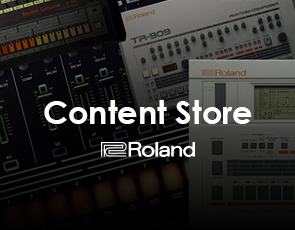 The TR-909 Rhythm Composer evolved from the TR-808, adding digital samples and MIDI. House and Techno were born. Now the next step begins. 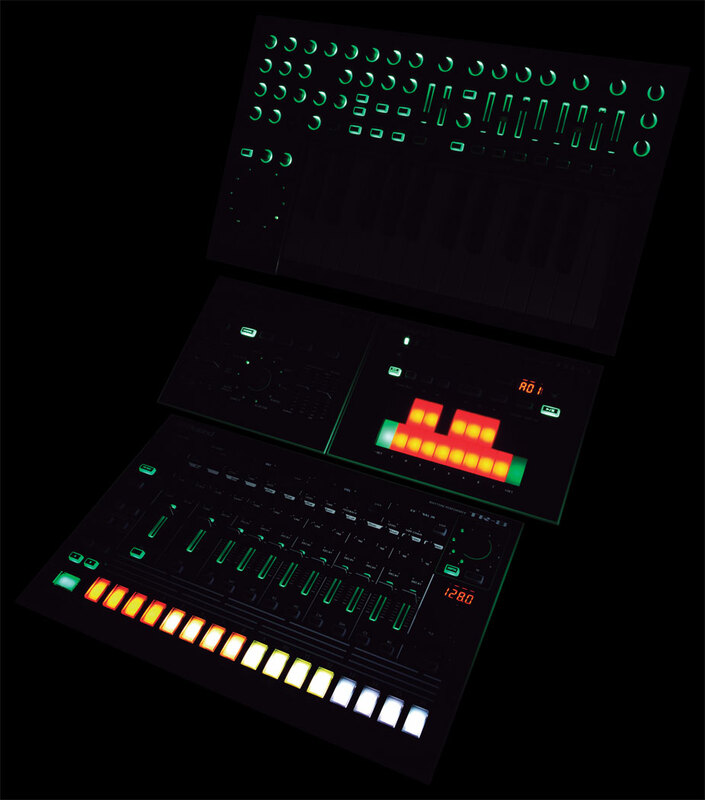 Roland Engineers discuss the initial concept of the TR-808 which was conceived and built in 1980. Although it was designed to create “backing tracks,” creative musicians started to use the Rhythm Machine as an instrument and music changed forever. Now the evolution begins again. This is the latest system update for the VT-3. 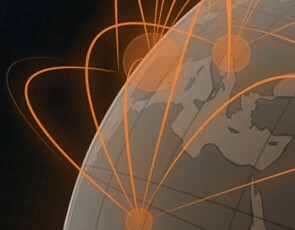 Please refer to the "VT-3_System_Update_Procedure" PDF document included for the update procedure. This contains information on the VT-3 driver compatible with Microsoft Windows 10. 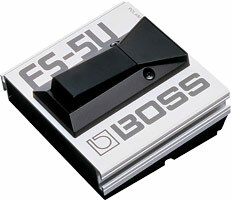 This is a driver for using the VT-3 on OS X 10.11.